But the EHR vendor says that clients own their data and can get it transferred back. As eClinicalWorks faces a possible class action lawsuit and the potential for clients to switch to rival EHR vendors, some customers are coming forward with complaints about their treatment. The company countered that it is still signing up new healthcare organizations and at least one user has noticed the vendor changing its ways. At May’s end, the U.S. Department of Justice – in a settlement that included a $155 million fine – mandated that the EHR vendor either upgrade existing customers' software for free or transfer their data to a rival’s electronic health record platform. The questions arising now are how the vendor will move forward, what changes existing and prospective customers might expect and whether early indications that it is reinvigorating focus on customers will continue into the future. Williams’ problems began nearly two years ago when North Spokane Women’s Health started the switch to GE Healthcare’s Centricity. When the clinic requested a copy of its patient data files, they were told that eClinicalWorks would charge $25,000 for the files, said Williams, noting that the offer was made without any guarantee that the data would be in a usable format. “My doctors said ‘we’re not giving them another penny. We already paid through the nose,’” Williams added. eClinicalWorks spokeswoman Bhakti Shah responded that the company’s data ownership policy is clear. Improving lackluster service and support? Black Book managing partner Doug Brown has been conducting years of research about eClinicalWorks and its rivals in the EHR market. “eClinicalWorks clients revealed very low confidence when they scored corporate leadership, mismanaged marketing and sales mischief, and consistently terrible offshore contact center support service for the past six consecutive years of Black Book polls,” Brown said. And that is despite the fact that Black Book also consistently found eClinicalWorks scoring in the top 5 percent of physician satisfaction rankings dating all the way back to 2011. That could be starting to change since the DOJ settlement, according to client Andrew Tomkiewicz, IT director of Thundermist Health Center in Woonsocket, Rhode Island. Black Book, in fact, conducted a post-settlement poll to gauge whether the company is ramping up its customer service. Former eClinicalWorks employee and current HIT consultant Justin Sleeper added that the company has long taken customers and employee enhancement requests seriously. “I made a number of recommendations while I was there,” Sleeper said. “From what I could see, eClinicalWorks was getting so many enhancement requests they had to prioritize which were best and those were the ones which were sent to product development for release into the system." Back in Eastern Washington, Laura Williams said that North Spokane Women’s Health had not paid the $25,000 charge and was not given the data files, so the clinic continued to use the eClinicalWorks application in read-only mode. That is, until the DOJ settlement was announced. On the next day, the system appeared to quit working. Williams contacted eClinicalWorks, informing them she would file a formal complaint with the Office of the National Coordinator for Health IT — and that was the first time Williams said she ever heard back from the company same-day. In the weeks since the DOJ settlement, eClinicalWorks has publicized what seem to be three reasonably positive developments. And the Centers for Medicare and Medicaid Services added another of its own that is certain to help eClinicalWorks retain at least some customers. In early June, the company won a federally qualified health center contract with Ezras Choilim Health Center, in Kiryas Joel, New York, to provide eClinicalWorks 10e cloud-based software for EHR and population health services. The company also injected telehealth functionality into its Healow wellness app to enable doctors and patients to conduct virtual visit using smartphones and then import any relevant data directly into the EHR. What’s more, CMS put many customers’ top concern to rest on July 6 by revealing that it will not require eClinicalWorks clients to repay meaningful use EHR incentive money they earned using the software that fraudulently gained certification. Shah said that “eClinicalWorks had the highest sales this year in the month of June. And it was the best month for our pop health sales.” As with private companies, however, verifying that is another matter altogether. HealthcareIT News obtained a letter that eClinicalWorks sent to its customers stating that two weeks after the DOJ settlement it had signed 55 new customers, added more than 600 providers and is expecting to surpass 10,000 additional providers in 2017. It is also projecting revenues of $475 million in the core EHR and practice management space as well as $25 million from Healow. 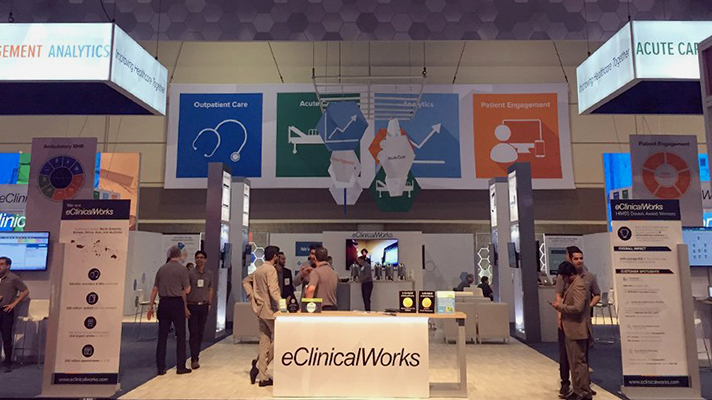 As for whether top executives intend to remake eClinicalWorks into a more customer-centric vendor or not, well, that remains elusive as of press time. Healthcare IT News repeatedly asked eClinicalWorks CEO Girish Navani to comment on future plans but he declined.